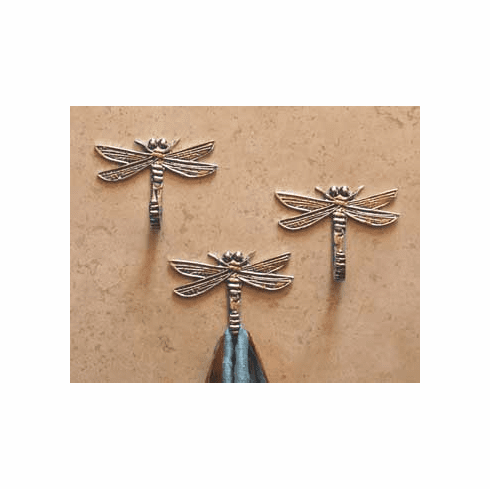 Pewter Dragonfly Hooks, Set of 3 - Don't just hang your coat or towels up, hang them up with a bit of charm. Intricately detailed and sturdy, they offer an artistic touch while performing a household function. Handcrafted in Oregon by exceptional American artists, each hook measures 3-1/3"W x 2-1/2"L.